He also believes that police should not be hauling up his critics under the Sedition Act. Malaysiakini reported that the comment was made in response to the recent arrest of Azman Noor Adam, the younger brother of UMNO Supreme Council member Datuk Lokman Noor Adam, under Section 4 of the Sedition Act 1948. "That thing (arrest) shouldn't happen. I don't mind being insulted by anybody, it's not going to affect me. There was one case in Penang and I told them (the police) not to take any action on them," he said. "A politician must accept being criticised, being called names," he added. 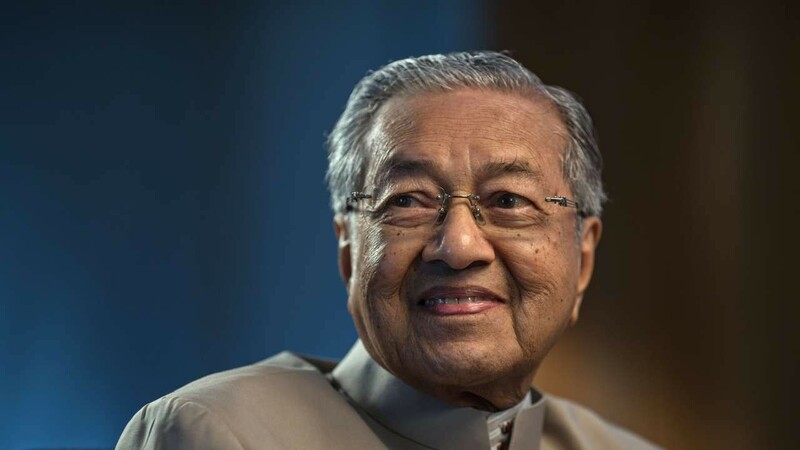 Azman was arrested on 2 October for allegedly uploading a photo of a boy baring his buttocks towards an image of Mahathir on a television, according to New Straits Times. 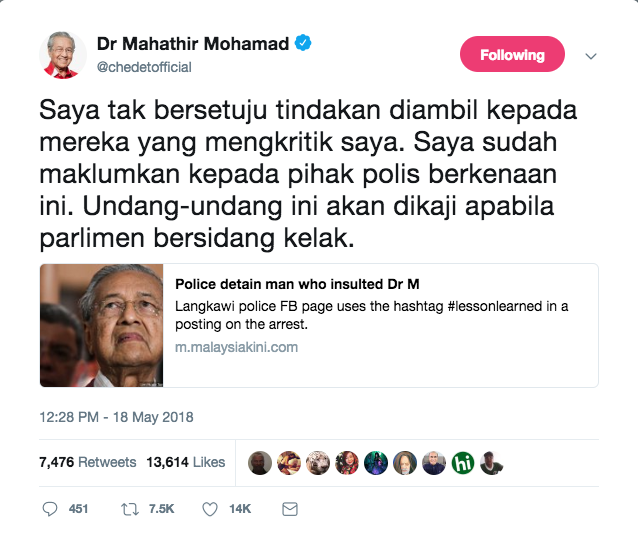 On 18 May, Mahathir tweeted his disagreement over the arrest of a man who had allegedly "insulted" him. "I don't agree with the action taken against those who criticise me. I have informed the police about this. The laws will be studied when Parliament convenes," his tweet read. In April, Mahathir also pledged to abolish several restrictive laws if Pakatan Harapan came into power. He cited the Sedition Act among the "restrictive" laws, reported The Star. However, his recent comments are a stark difference from previous years, where he claimed the Act was "necessary for safeguarding national harmony" and "Malaysia could descend into chaos" if it was repealed. 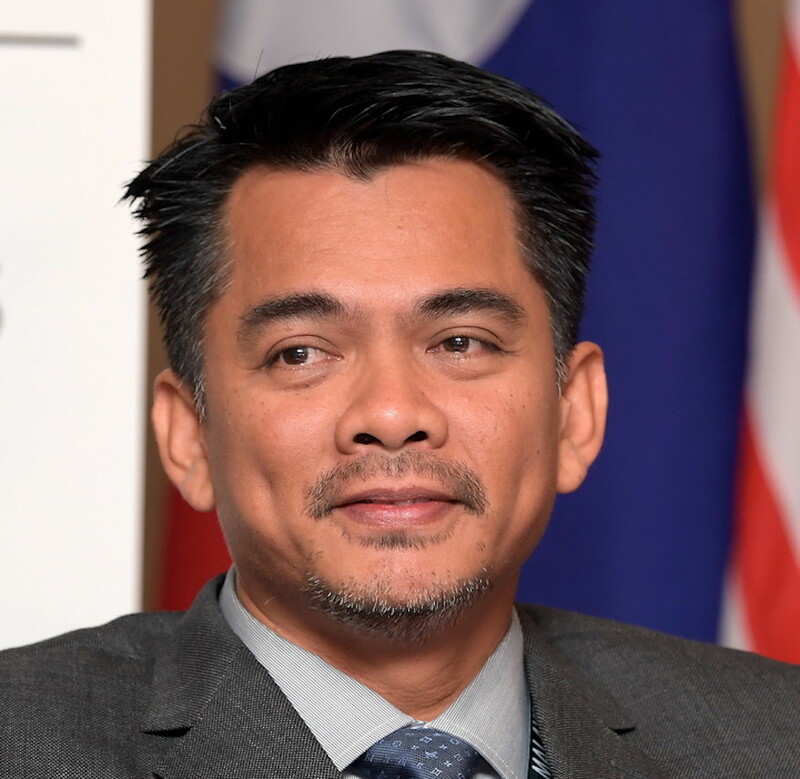 Deputy Home Minister Datuk Azis Jamman. Malay Mail reported Azis saying, "A report was lodged against Azman, so the police acted according to the SOP." He added that as long as the Sedition Act stands, it will remain in use. Bukit Gelugor MP Ramkarpal Singh. 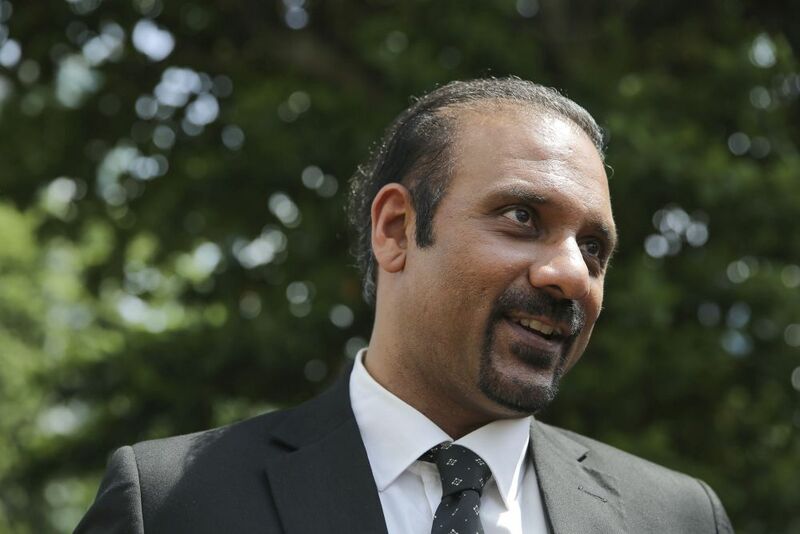 In a media statement posted on his Facebook page, Ramkarpal said he regretted Azis' statement and that it reflected "a lack of political will on the part of the government in carrying out one of its most important election promises". He added that such laws should not be used on anyone, "regardless of political affiliation", and called for the Home Ministry to "make such an announcement forthwith so that government resources are not wasted on investigations into offences which are likely to become obsolete in the near future". Additionally, he added that repealing the Sedition Act would not be difficult and that "such a move will likely be supported in parliament the way the GST was abolished". AVA issued a recall of the products yesterday, 4 October. He is charged under Section 380 of the Penal Code for theft in a dwelling. Morquio IVA syndrome is one of the rarest forms of the Mucopolysaccharidosis disease.